1) Hello Andrea and welcome to Alba in Bookland. First, could you tell us a bit about yourself? Thank you! Delighted to be here. My name is Andrea Carter. I grew up in Co. Laois in the Irish midlands and studied law at Trinity College, Dublin. I qualified as a solicitor and practised for ten years on the Inishowen Peninsula in Co. Donegal before transferring to the Bar and moving to Dublin to practise as a barrister. 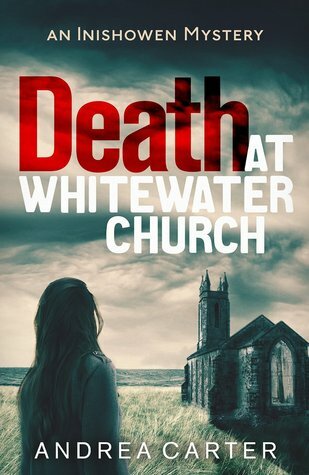 2) In Death at Whitewater Church, your debut novel, a skeleton is found in a church and a solicitor finds herself embroiled in the mystery. What inspired you to write this story? What inspires me is place: landscape and buildings, particularly old buildings. My grandmother believed that a place retained the memory of what had happened there, marking it out as a place of contentment or sadness, or fear, and that you could sense it in the atmosphere. Whenever I visit a place for the first time, particularly an old building, I find myself imagining what might have happened there. I’ve visited a number of ruined churches and I always find them particularly spooky. 3) How would you describe Ben O'Keeffe, the solicitor and main character? Ben runs the most northerly solicitor’s practise in the country. But she is not from the area - she is an outsider, a blow-in. The reason she has chosen to come to this remote area becomes clear during the course of the book. She is running from her past, from her own guilt. But that doesn’t stop her from becoming involved in matters which don’t concern her. And she is nosy by nature which makes her an excellent amateur sleuth! 4) This is the first installment of a series, what can we expect next? You’ll have to wait and see! But you won’t have to wait too long. 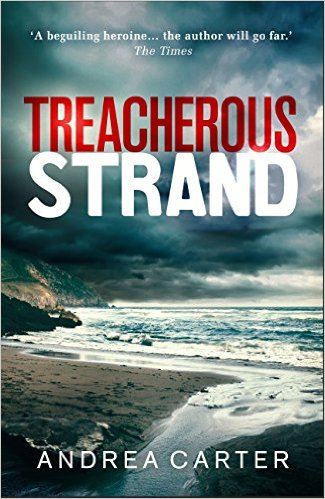 The second book in the series Treacherous Strand will be published on 2nd June. I am already working on book three. 5) The series is set on the Inishowen peninsula in County Donegal, what meaning does this place have for you? I lived in Inishowen for eleven years. It is beautiful and windswept with towering headlands and sea-stacks, ruined forts and golden beaches. When I left to move to Dublin it became easier to write about somehow, its colours and sounds more vivid because I missed them. 6) You have been working as a lawyer for many years, what made you start writing? I began writing a crime novel while I was still working as a solicitor in Inishowen, just for fun, to see if I could do it. I wrote in the evenings after work, or at night, when I couldn’t sleep. At first it was a way of keeping work stresses at bay: Ben O’Keeffe began as a braver (or more reckless!) version of myself. She was able to say things I could never have said, do things I could never have done. But as I kept writing she began to separate herself from me, to develop her own characteristics and her own back story. And I began to like her! 7) Has your job influenced your writing? Certainly! My protagonist is a solicitor just as I was and she runs the most northerly solicitor’s practise in the country as I did. But my practise as a barrister has also influenced how I write I think; it informs my knowledge of human nature, of human motivation and vulnerability. Although I’m on extended leave-of-absence to write at the moment. 8) And finally, what are you working on right now? I am working on a third Ben O’Keeffe novel, number three in the Inishowen Mysteries Series. 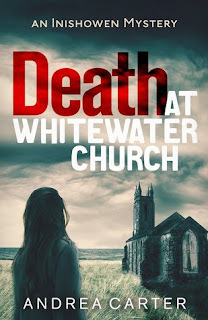 Blurb: When a skeleton is discovered, wrapped in a blanket, in the hidden crypt of a deconsecrated church, everyone is convinced the bones must be those of Conor Devitt, a local man who went missing on his wedding day six years previously. But the post mortem reveals otherwise. 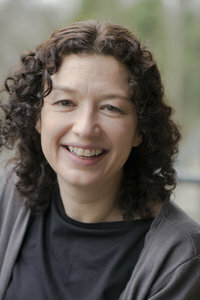 Solicitor Benedicta 'Ben' O'Keeffe is acting for the owners of the church, and although an unwelcome face from her past makes her reluctant to get involved initially, when Conor's brother dies in strange circumstances shortly after coming to see her, she finds herself drawn in to the mystery. Whose is the skeleton in the crypt and how did it get there? Is Conor Devitt still alive, and if so is there a link? What happened on the morning of his wedding to make him disappear? 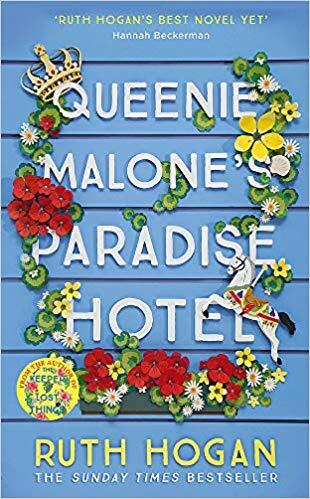 Negotiating between the official investigation, headed up by the handsome but surly Sergeant Tom Molloy, and obstructive locals with secrets of their own, Ben unravels layers of personal and political history to get to the truth of what happened six years before. 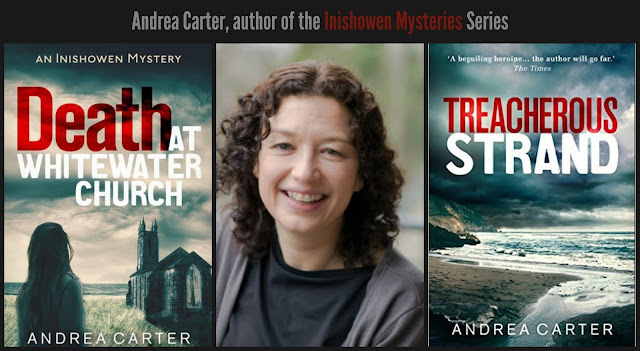 You can now pre-order Treacherous Strand (Inishowen Mysteries #2) here - Out June 2nd!